I saw the two films weeks apart, but somehow I think they're a bit similar, and I like them both. I guess they're similar in that both films are about adolescent characters who are not understood. 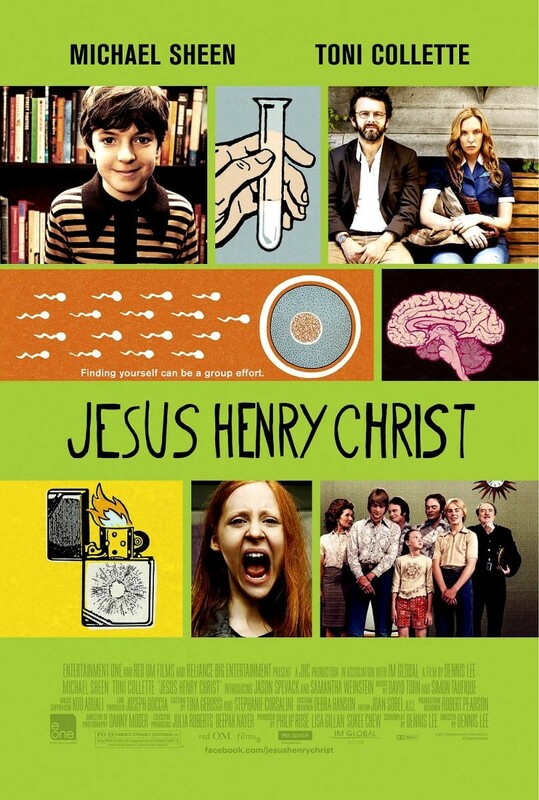 In Jesus Henry Christ, it's Henry and his half-sister Audrey. They're both vastly different from their peers and often feel very alienated until they find each other (or realise each other's existence). In Moonrise Kingdom, of course it's the adorable Sam and his love Suzy, both of whom are outcasts in their family / group. The films also resemble each other in that both are filmed in a light-hearted comical way, with an almost surreal style. 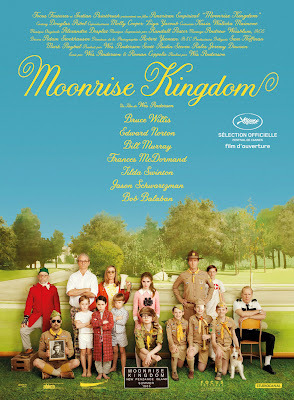 The retro touch is ingenious in Moonrise Kingdom - it makes the film so much more enjoyable. Highly recommended. Dear Blog, I'm back. I'm sorry I abandoned you without informing you before I did so. Such a bad girl I am. So I'm back! Didn't really do anything interesting during this hiatus... apart from eating lots, as always. Haha. 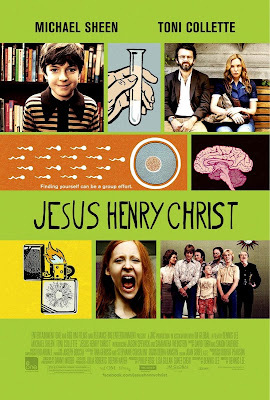 There are a number of films I saw that I want to write about, and this is on the top of the list. The Five-Year Engagement. Who would have thought? I saw it on the way back, and I wasn't expecting anything profound, just something to kill the time coz I hate sleeping (and can't sleep) on flights. The plot is simple: two people fall in love, they get engaged, they are happy, and then they move to a different place. 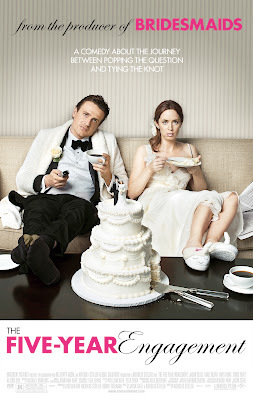 The relationship slowly turns sour because of the changed circumstances, and they split up, after a five-year engagement. Then they get back together, a few years later. Simple, and yet the nuances of the difficulties in the relationship feel so real, so authentic, it is like you can feel it happening to your friends and you feel really, really sorry for them. *spoiler alert* When Tom moves to Michigan, he moves because of love. 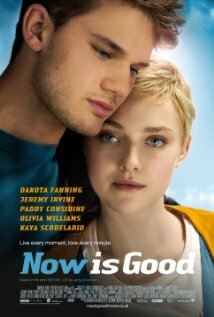 But reality strikes, he can't find a job in Michigan, and he becomes disappointed with and disillusioned in life, and in the relationship. I find this particularly striking and realistic because this is something many of my friends (and myself?) are going through - striking a balance between our own dreams and ambitions, and the relationship with our loved ones. Perhaps this is even more pronounced and relevant for guys, as I imagine few of them would be willing to 'sacrifice their career' for their partners. I'm sure someone would disagree with this, but this is what I see in 'my reality', among my friends especially. At the beginning it may all be jolly and well, but slowly as reality sinks in, and you don't get the satisfaction and encouragement you get from accomplishing something at work, some people can become disillusioned and find it unbearable.